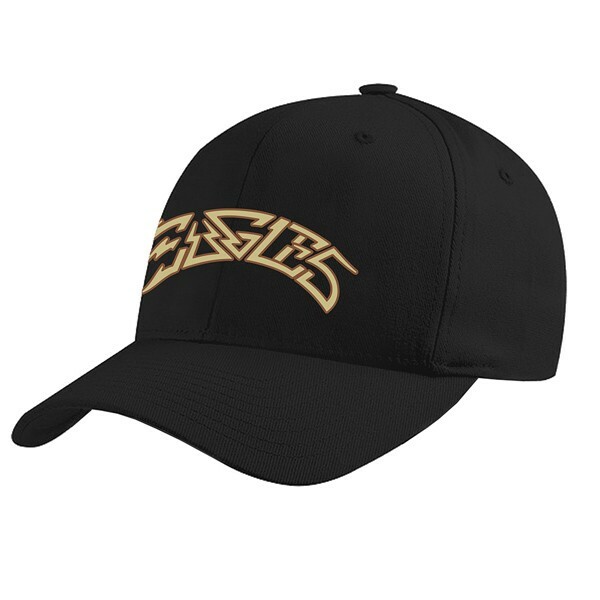 Adjustable black hat features a tan arched Eagles Greatest hits logo on the front. Please note: the back of the hat is blank and does not include year. Colors may slightly vary.